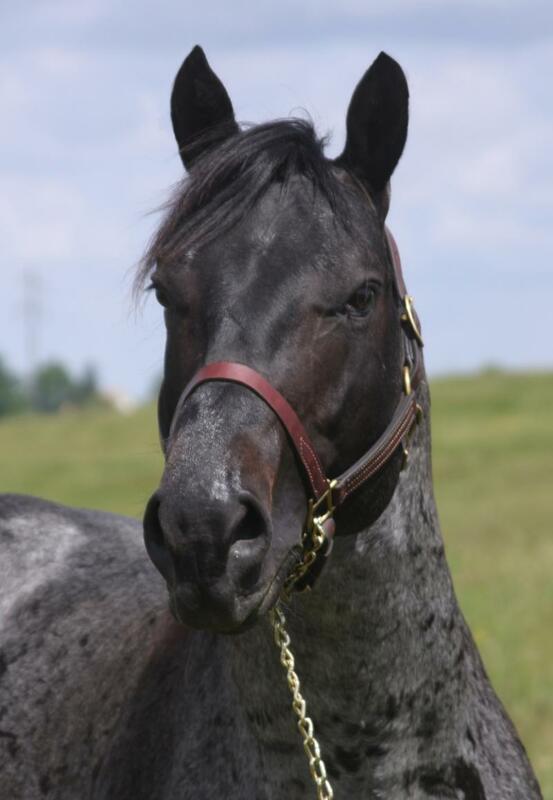 Reata Valentine is a dynamic blue roan Blue Valentine performance stallion with a pedigree fillled with rodeo credentials. His sire, Vals Blue Charge, is a talented money earner in heeling, and tie-down roping. His paternal great-grandsire, Drews Hancock, is a multiple PRCA & NFR sire with outstanding progeny in heading & heeling. Another great-grandsire, Blue Zan Parr, sired "Honeypot", a great bay roan heel horse with two trips to the NFR to her credit. His grandsire, Azul Caballo Amigo, sired a PRCA Heel Horse of the Year and a Senior Rodeo Horse of the Year. Not to be outdone, Reata Valentine originates from one of the strongest maternal famllies in our program, which also produced a PRCA Calf Horse of the Year ("Mr Ed") owned by Doug Clark. All in all, his pedigree is responsible for producing more than a dozen pro-level roping horses who share the same speed, big stop and athleticism that Reata Valentine demonstrates. "Reata" hs done an exemplary﻿ job in a short time as a sire-producing colts with a real "look" about them. He's a perfect combo with Blue Max Hancock daughters-to ensure the utmost in disposition, ability and style. 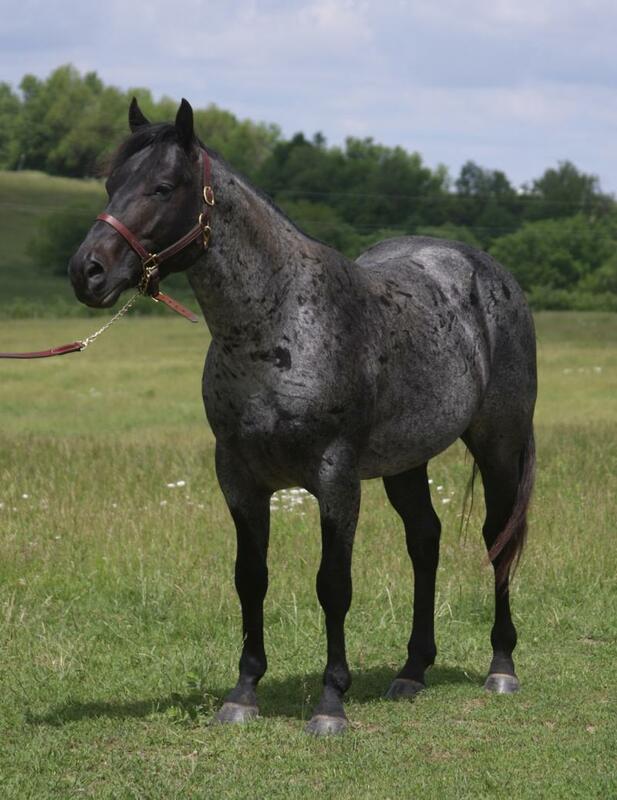 Look to Reata Valentine to produce colorful, blue roan athletes that excel in the arena and on the ranch! 27 Crosses to Joe Hancock, 7 to Blue Valentine, 7 to Leo and 1 to Driftwood! I cannot say enough about the quiet disposition these colts have had from the day we brought them home 'til today when we are riding them as two year olds. They are quiet, the quickness and cat-like moves when asked make them a joy to ride. We have bought and developed colts for 20+ years, and the colt out of Blue Moon is one of the best looking we have ever purchased. Even after we laid him off for 45 days, he did not miss a beat and rode off like a much older horse would have.